Frank I. Rounds Company Resources Boiler Inspection & Maintenance. When To Do What? Boiler Inspection & Maintenance. When To Do What? Is your boiler operating as efficiently as it can be? Are you regularly checking the performance of your boiler’s excess air and burner turndown? 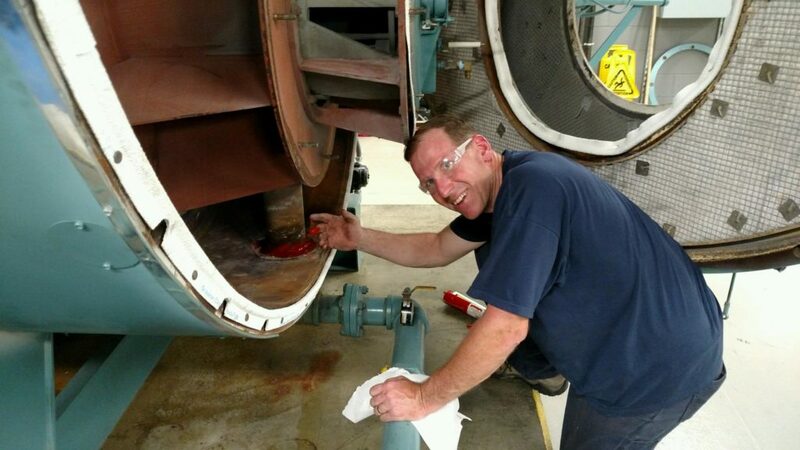 Routine maintenance is critical to ensure your boiler remains reliable, safe and efficient. High-pressure steam boilers that do not have a full-time operator should be inspected and serviced monthly and fully inspected annually. Maintenance on a heating boiler should be conducted at the season start-up and shut-down at a minimum. If you do not have a boiler operator on staff, you can contact Frank I. Rounds Company for regular maintenance to keep your boiler system operating at peak efficiency. 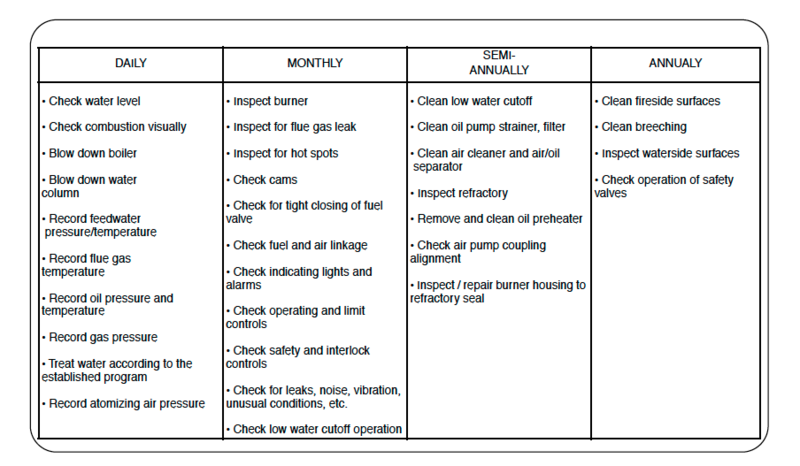 Click here to review Cleaver-Brooks’ tip-sheet for a complete breakdown of regular maintenance tasks. Contact us today at 800-696-6440 to learn about our Preventative Maintenance Service Programs. Boiler tuning is necessary to maintain efficiency as well as to ensure reliability and safety. Tuning the burner during the spring and again in the fall is recommended because of the dramatic air temperature and density changes that occur during these seasons….